And so we begin. It is DAY ONE of our 12 festive Christmas giveaways in 12 days! We LOVE Microscooters here at KiddyCharts, so we are really happy to have this awesome Micro Deluxe Microscooter competition from to kick-start the giveaways! Christmas wouldn’t be Christmas without a Microscooter. And the multi-award winning Microscooters do scooters like no other. Their Swiss designed and engineered scooters are renowned for the robustness and durability. This year the NEW Deluxe range is a must for Christmas. 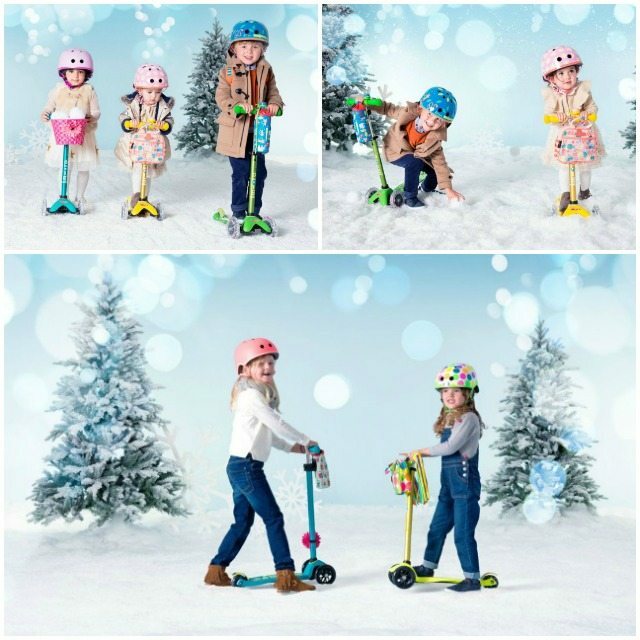 Suitable for children from 12 months to 12 years make this a Christmas to remember by winning a Microscooter and accessory set. Only open to residents in the UK & Ireland. 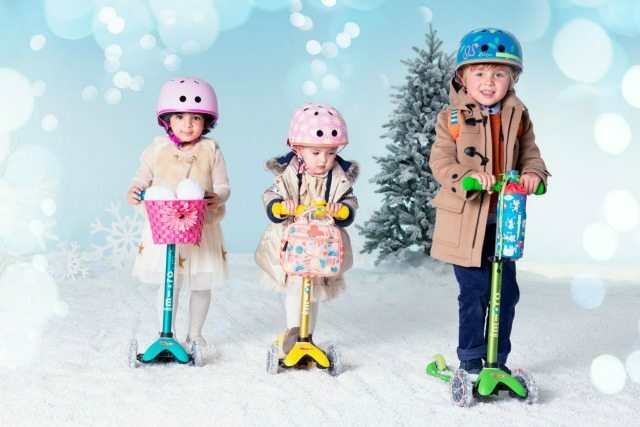 Is your kid desperate for a 2 wheeled scooter gift this Christmas? Right – now that’s out of the way, here is how you enter this competition. Simply fill out the widget below. There are multiple ways to enter for more chances of winning! This competition ends at 11.59pm on Sunday 18th December. We will announce the winner as soon as we can after this close date, so that we can endeavour to get the prize out before Christmas. We cannot, however, guarantee this. All our standard terms and conditions apply, and this is for UK and Ireland delivery only. Looking for more giveaways? Look no further because we run a few others giveaways on the KiddyCharts at most times, so be sure to sign up to receive our advent newsletter so you will never miss out on the new ones as we publish them all on our website. 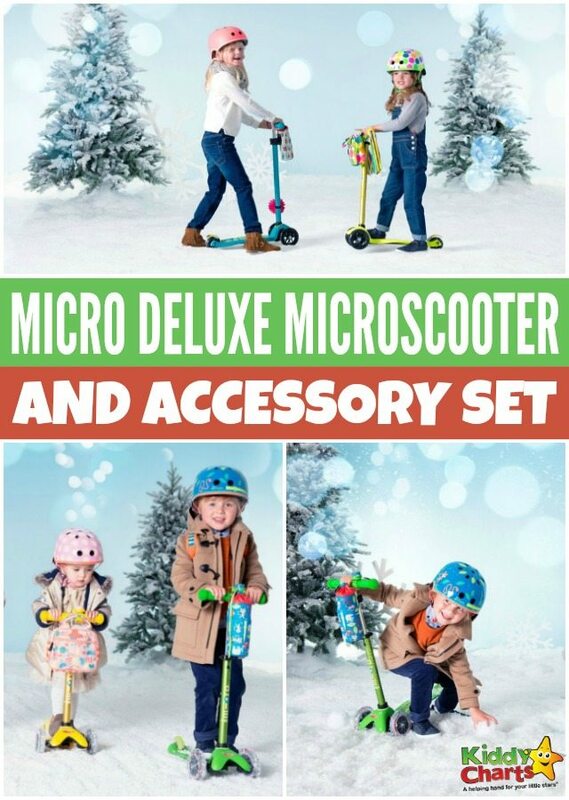 Visit micro-scooters.co.uk to find out more about their awesome Microscooter products for kids and adults! Hop on over and check out all our great advent competitions we are running at the moment! my son is super desperate, ever since his older brother lost his!